Highlights from the second round of the Abu Dhabi HSBC Champions. 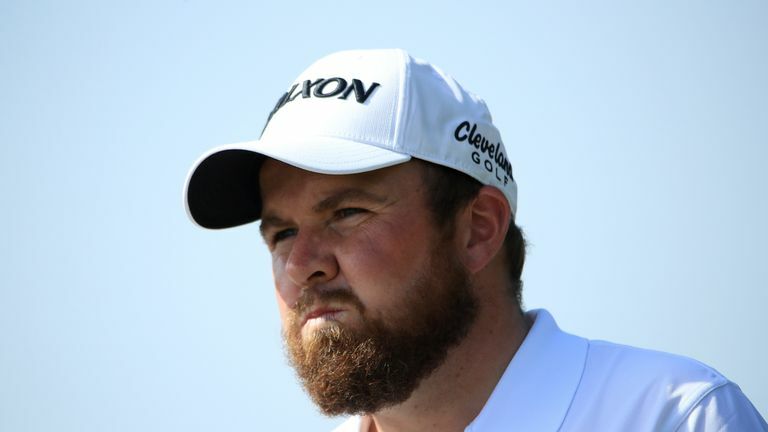 Shane Lowry recovered from a slow start to his second round to move back into top spot at the halfway stage of the Abu Dhabi HSBC Champions. The Irishman bounced back from bogeying two of his opening three holes on Thursday to card a two-under 70 at Abu Dhabi GC and get to 12 under, giving him a one-shot lead over South African duo Louis Oosthuizen and Richard Sterne. Lee Westwood sits two strokes off the pace after a bogey-free 68, with Ian Poulter in the group a further stroke back and world No 2 Brooks Koepka five off the lead. "I'm really happy with that," Lowry said. "I knew today was going to be a bit of a weird day after shooting such a low score yesterday. I just tried to go out and play like I played." Beginning four strokes off the pace after Lowry's opening-round 62, Westwood birdied his opening hole - the par-five 10th - and added another at the 15th, before three-putting the 18th for par and reaching the turn in 34. Westwood picked up a shot at the fourth and posted a two-putt gain at the eighth to join playing partner Poulter on 10 under, after he opened with four birdies in his first seven holes. Poulter made par on his next 11 holes and found water off the ninth tee on his way to a final-hole bogey to give Westwood the clubhouse lead, which became the outright advantage when afternoon starter Lowry posted back-to-back bogeys from the second. Lowry holed a six-footer at the fifth and added another at the seventh to reach the turn back in a share of the advantage, before firing his tee shot at the par-three 12th to tap-in range to reclaim the solo lead. The Irishman doubled his advantage with a birdie-two from close range at the 15th and closed out his round with a run of pars, only for Oosthuizen to halve the lead by birdieing the last to close a four-under 68 and get to 11 under. Sterne also got within one after closing his blemish-free 68 with a final-hole birdie, while Poulter was joined in tied-fifth on nine under by Scott Jamieson, Tom Lewis and Soren Kjeldsen. Dustin Johnson chipped in from off the 15th green and also birdied the 17th to close a one-under 71 and make it through to the weekend, while defending champion Tommy Fleetwood needed a final-hole birdie to sneak through on the cut mark. Watch live coverage of the Abu Dhabi HSBC Champions all week on Sky Sports. Live coverage of the third round begins on Friday from 8am on Sky Sports Golf and Sky Sports Main Event.